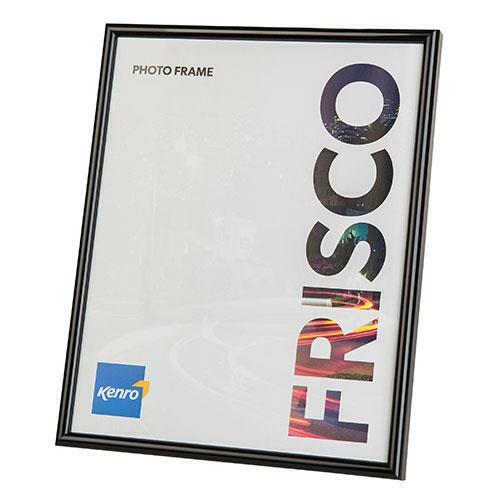 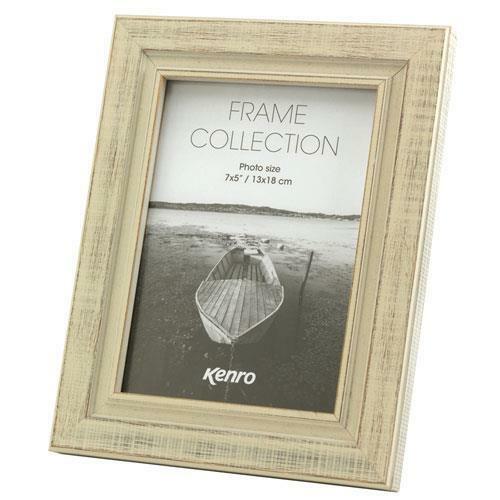 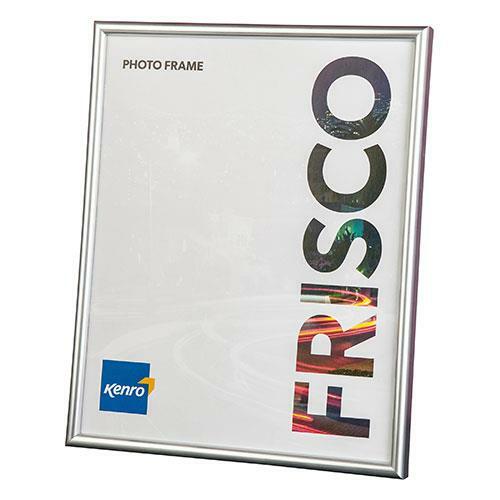 The modern Kenro Frisco frame design uses a hard, strong plastic and has a 10mm wide profile that is 16mm deep. 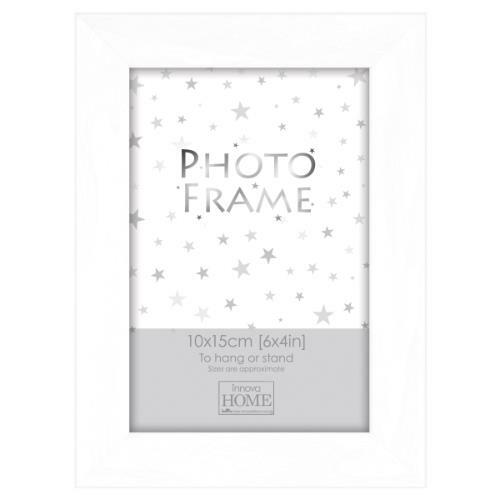 Multi opening PS frame with white cardboard mount. 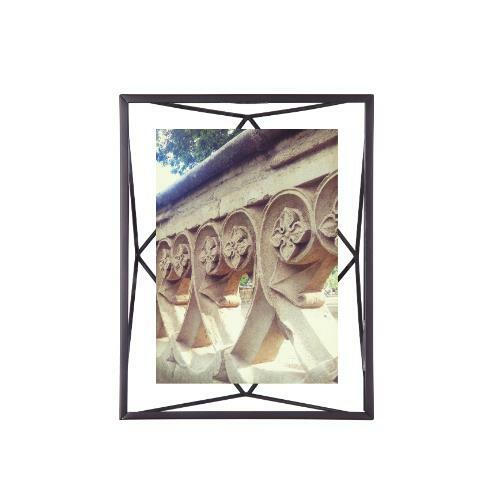 Moulding 15mm wide and 30mm deep. 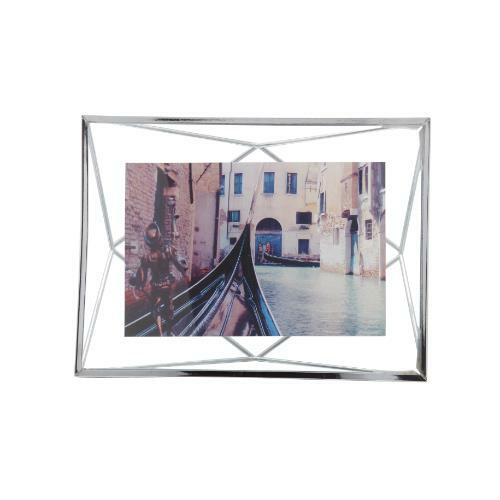 This classic luxury frame design has a polished silver finish and a velour backing. 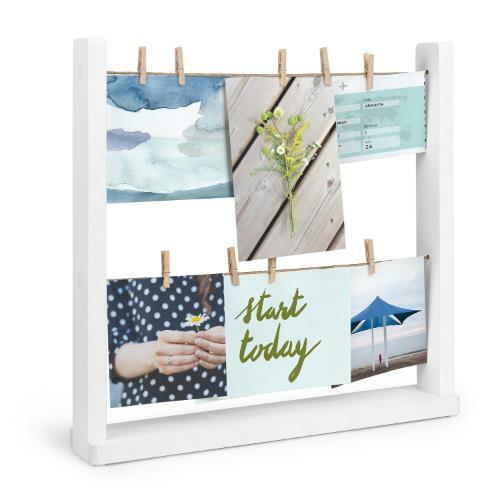 Can alternately sit on the desk or be hung on the wall. 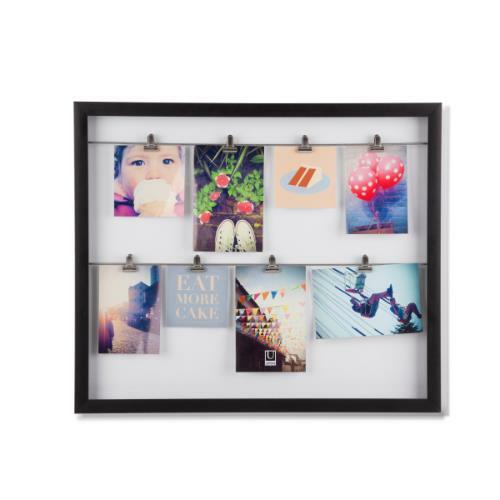 A casual way to display favourite photos, kid’s art, and other mementos. 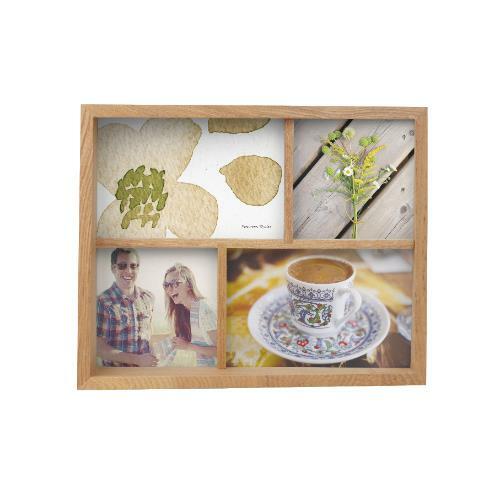 Casual desk top multi frame with two rows of twine for displaying favourite photos, memos, cards and artwork. 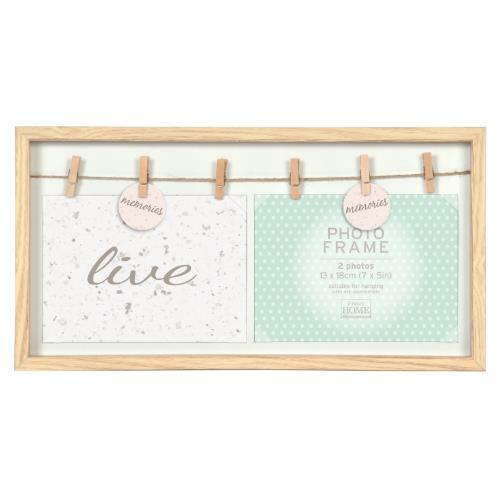 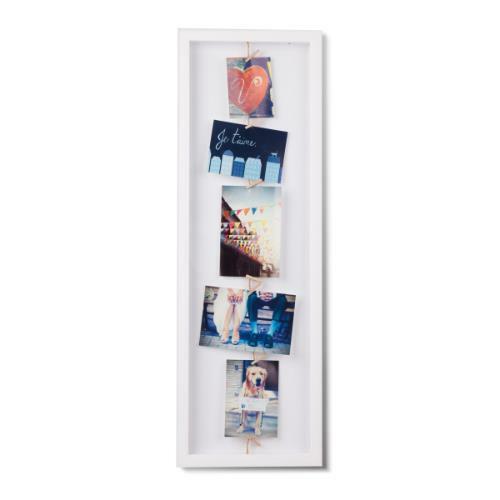 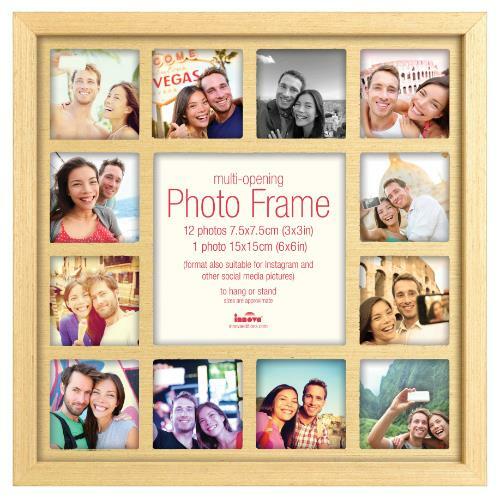 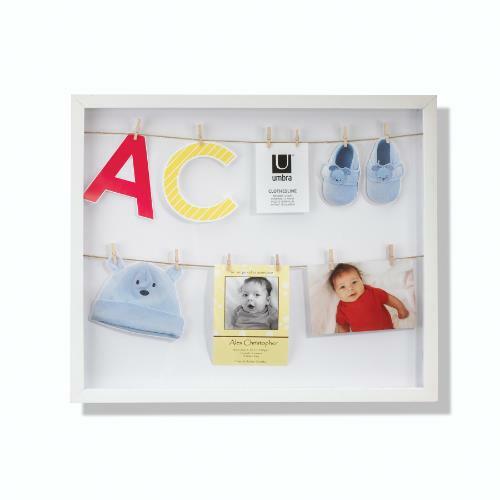 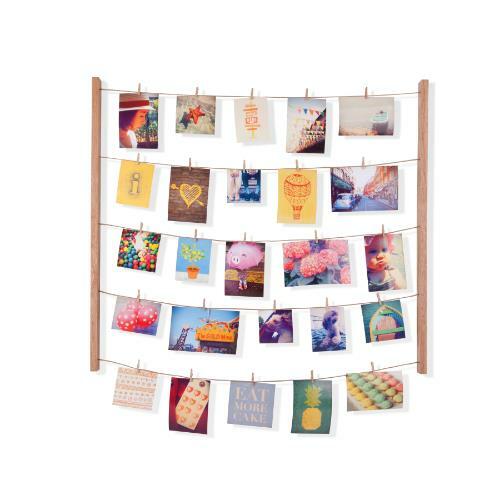 Wood wall frame with clothesline and 12 clips to hold photos and mementos. 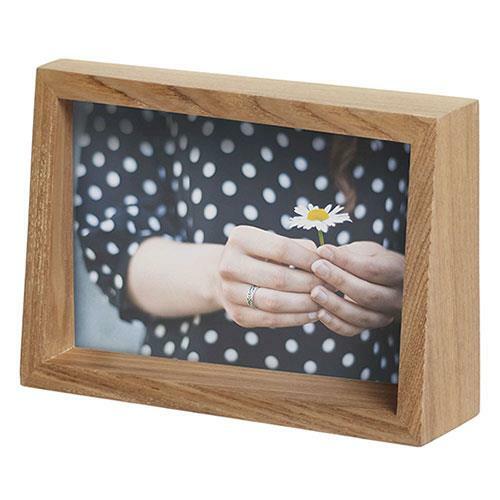 A new approach to a simple wood frame. 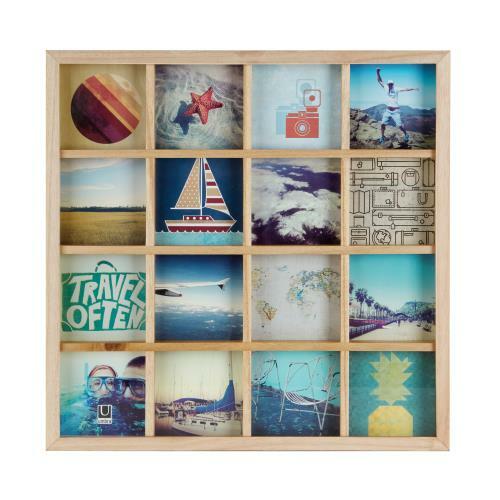 Wall mounted wood multi frame. 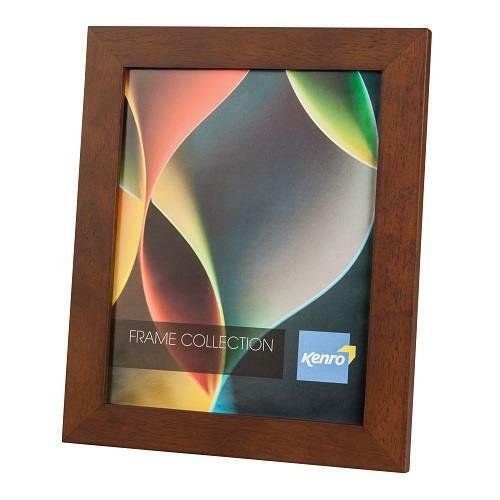 Multi opening MDF frame with real oak veneer and inset mount. 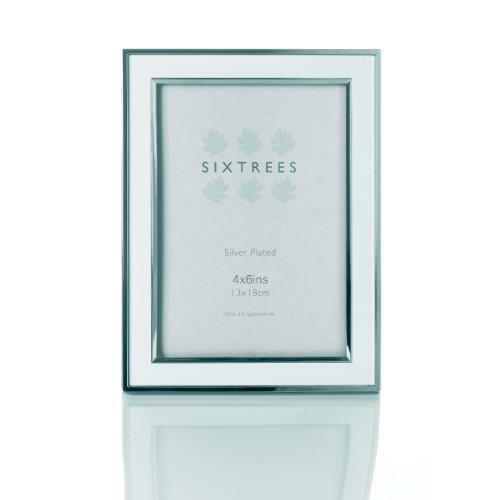 Moulding 15mm wide and 30mm deep. 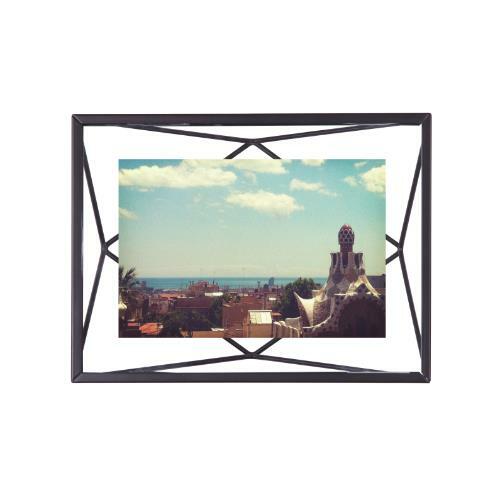 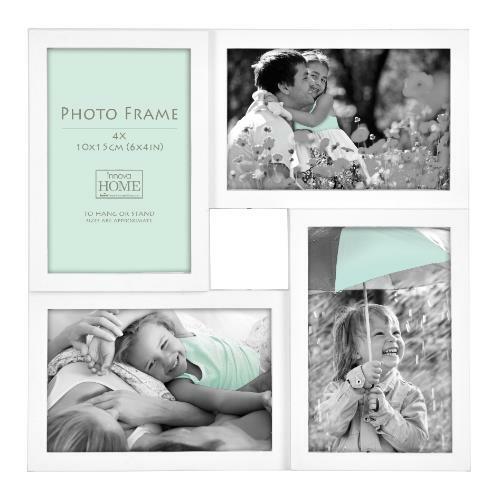 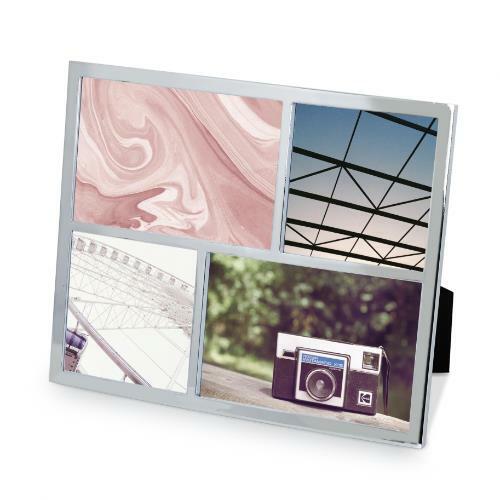 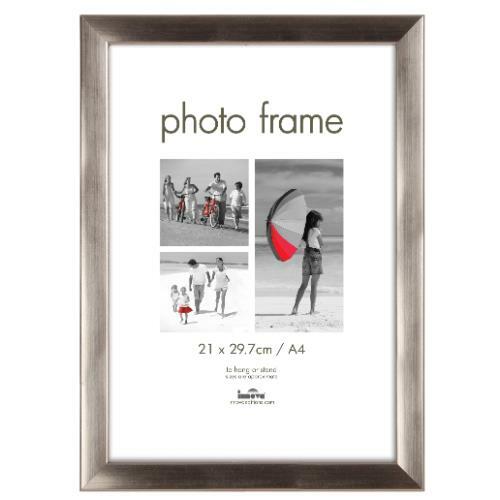 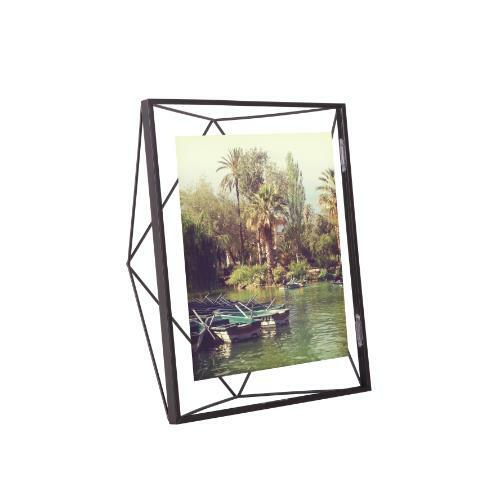 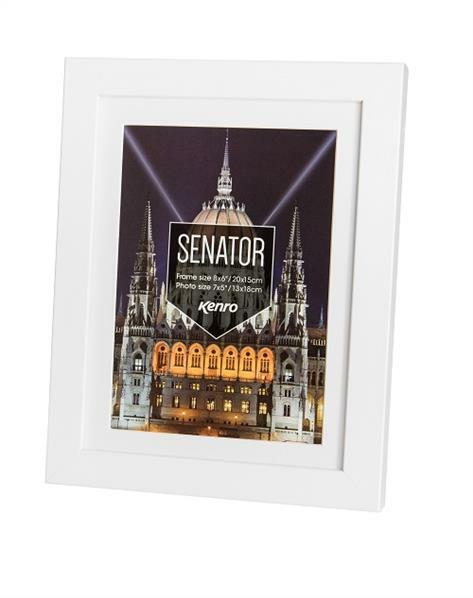 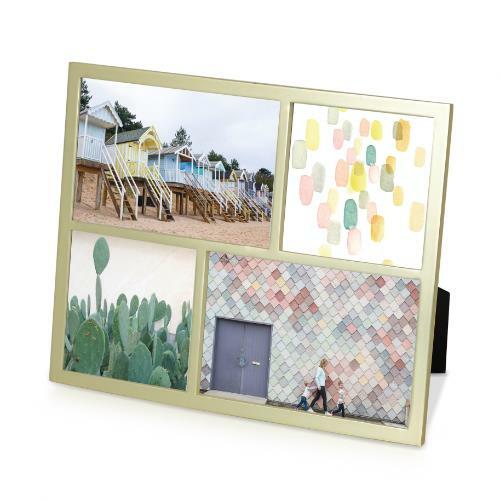 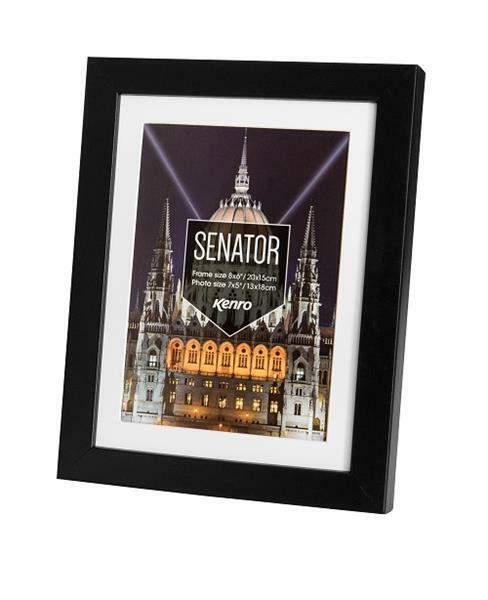 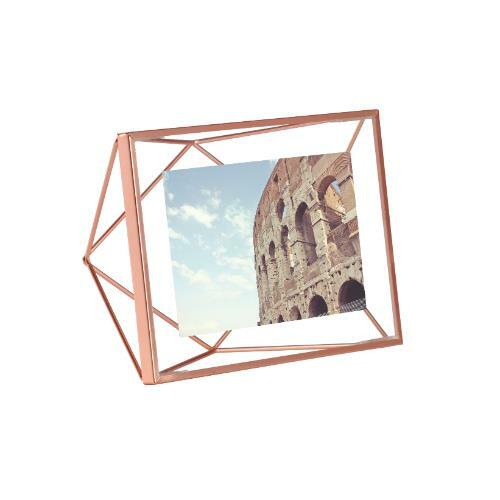 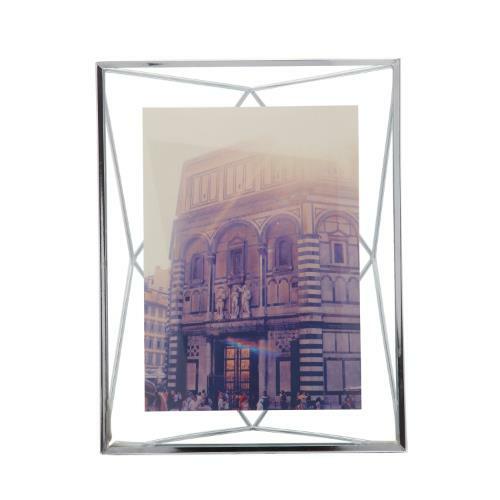 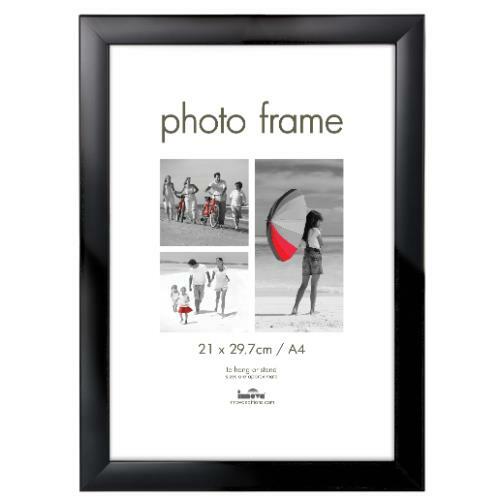 Show off your favourite four pictures at once with this sleek and modern metal frame. 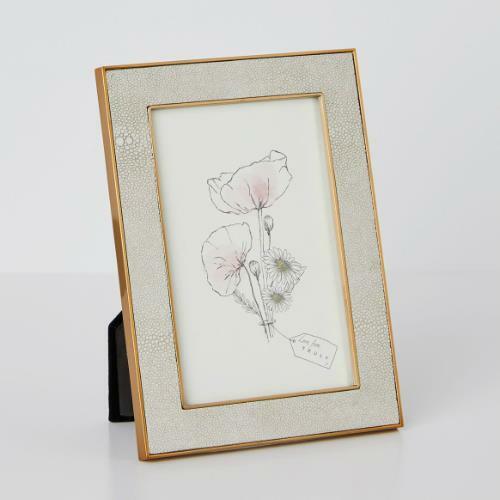 Truly Shagreen Ivory Photo Frame 6x4"
The Park Lane silver plated 5 x 7in photo frame is simple and elegant. 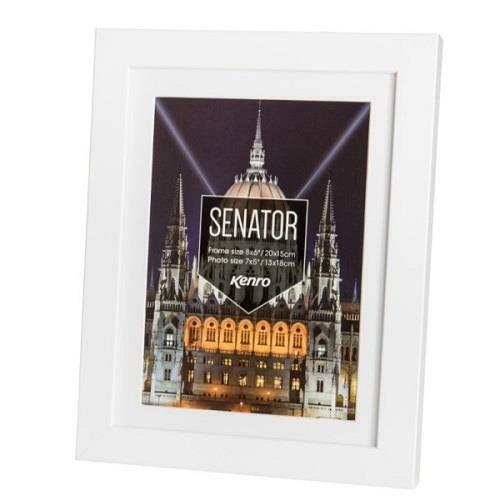 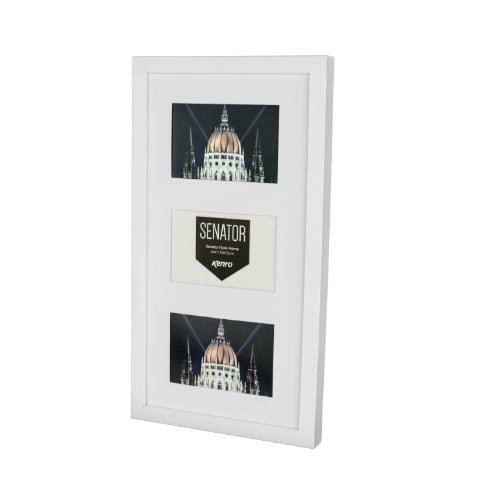 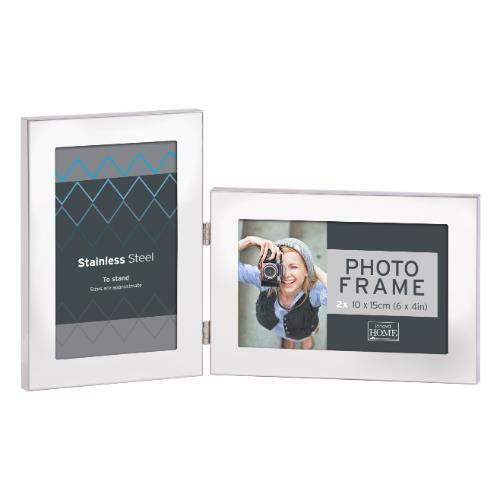 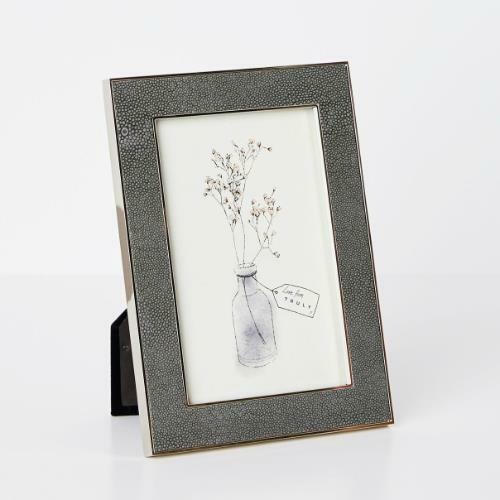 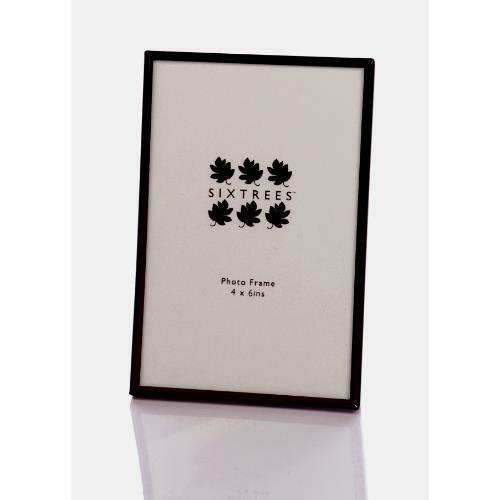 The Park Lane silver plated 4 x 6in photo frame is simple and elegant. 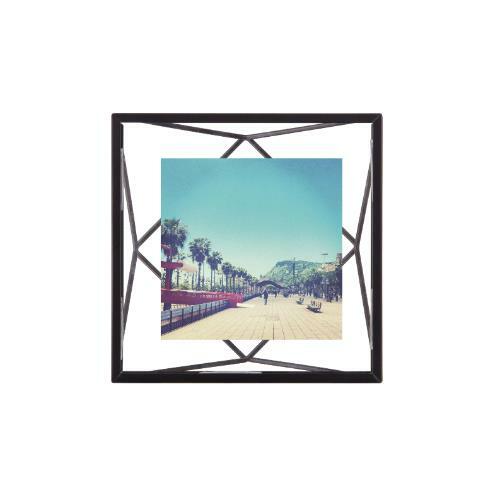 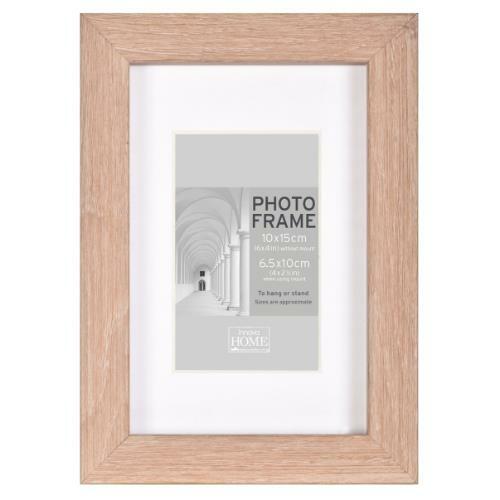 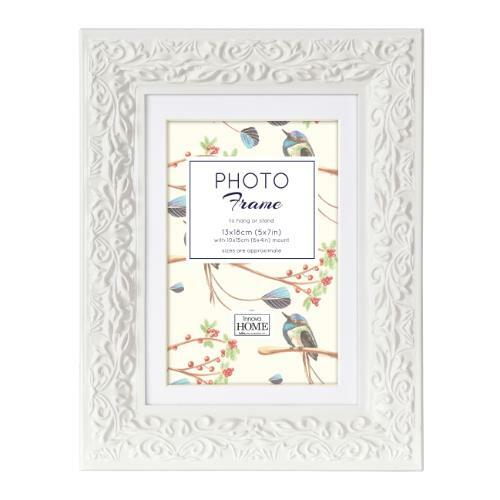 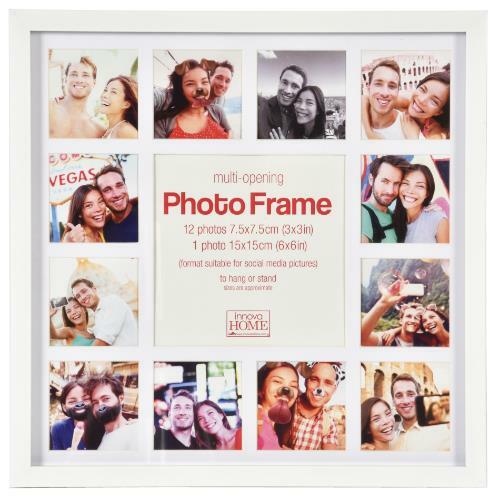 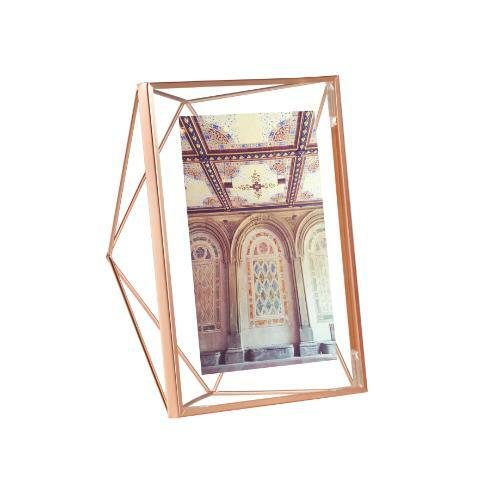 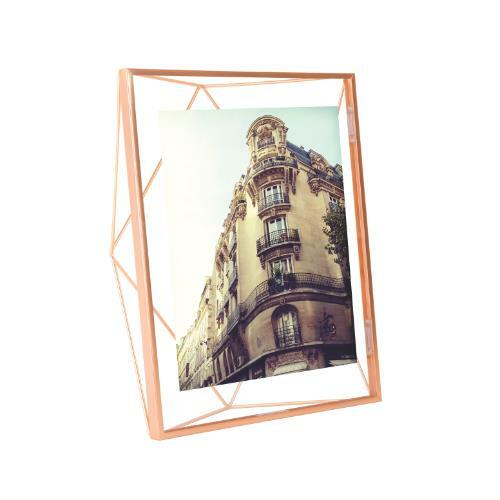 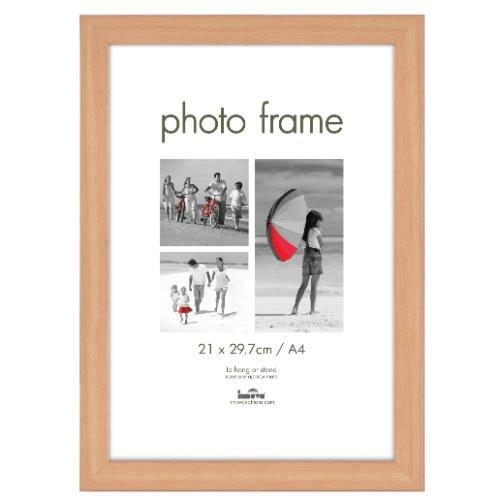 With a frame thats just 4mm wide, this Cambourne Collection frame lets the photo within do all the talking. 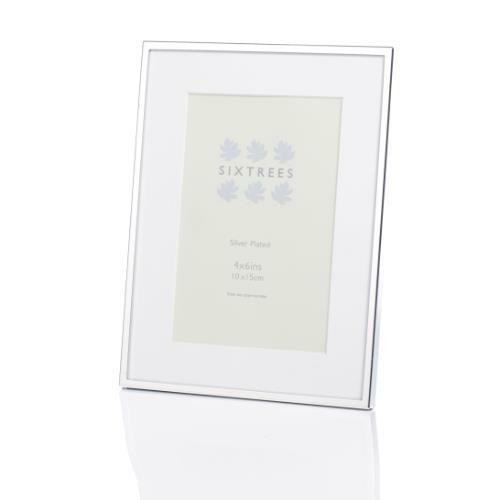 The Park Lane silver plated 8 x 10in photo frame is simple and elegant.